Gov. 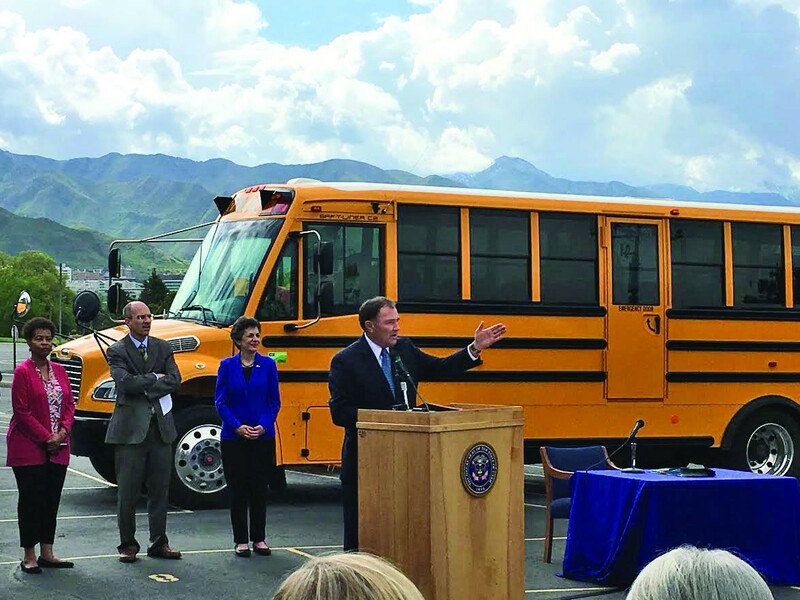 Gary Herbert announced on Tuesday the state’s intent to replace 100 “polluting, stinky, old buses” with new fuel-efficient models in an effort to clean up Utah’s dirty air. The funds to pay for the buses—$7.5 million—come from money Volkswagen gave to the Utah Department of Commerce. Herbert made the announcement at a ceremonial bill signing at Ensign Elementary School in front of a horde of legislators, industry folks and fourth- and sixth-graders who were eager to get to recess. Two buses provided a yellow backdrop on a drizzly morning where the mountains and the valley were visible below. 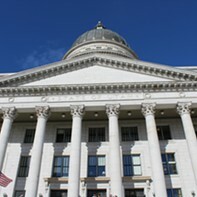 The governor signed nine bills at the event, all of which address air quality. 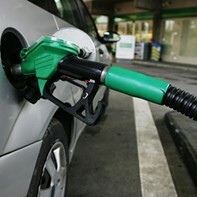 The list of bills touch of fuel-efficient cars, alternative energy and funding for clean-air projects. Rep. Patrice Arent, D-Millcreek, sponsored House Concurrent Resolution 18, a non-binding measure that encourages car buyers to consider a vehicle’s smog rating before making a purchase. 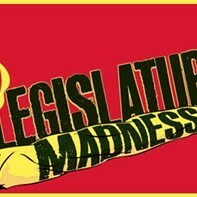 Rep. Timothy Hawkes, R-Centerville, sponsored three bills signed on Tuesday: HCR 8, House Bill 392 and House Bill 183. 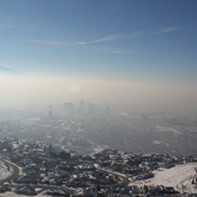 One of the measures calls for the creation of an air quality policy advisory board. The board would help identify the most efficient and cost-effective steps lawmakers could take to improve air quality, he said. Hawkes other two pieces of legislation prepare for funds from a multistate Volkswagen lawsuit. “Volkswagen got caught red-handed when it was discovered their diesel fuel vehicles were using a device to cheat the emissions testing equipment, to make it look like the cars were a lot better from an emission standpoint than they actually were,” he told the students. California and the EPA sued and the vehicle manufacturer settled. 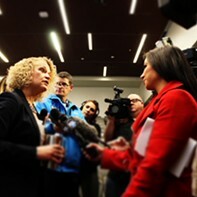 Hawkes’ resolutions open up the path for Utah to receive $35 million from that settlement. The top issue Rep. Steve Eliason, R-Sandy, hears about from constituents is air quality. His bill, House Bill 96, requires petroleum trucks capture vapors that escape into the air when they refuel gas stations. “Those are very, very toxic for us to break and they’re also explosive,” he said. The vapors can be returned to the refinery and processed into fuel or burned. He also previewed a bill he hopes to introduce next session set to incentivize low-income residents whose vehicles failed emission tests get their cars fixed. Rep. Doug Sagers, R-Tooele, sponsored a bill to help manufacturers produce cars fueled by hydrogen. A Utah-based company, Nikola Motor Co., has developed a semi-truck that runs on hydrogen. “That’s our future,” Sagers said. 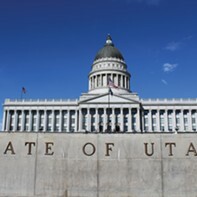 A bill sponsored by Sen. Lincoln Fillmore, R-South Jordan, encourages crowdsource funding for residential rooftop solar panels. 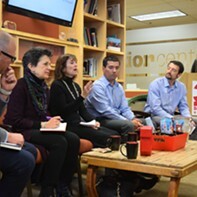 Representatives from the solar industry, Vivint Solar and SolarCity, attended the signing. Rep. Stephen Handy, R-Layton, sponsored House Concurrent Resolution 5 that aims to improve the fleet of 2,800 buses. Handy said the state will leverage money for the buses by getting the school districts to match the funds. While Herbert’s bill signings represent a win for air quality advocates, it comes on the heels of a bill he signed in March that air experts warned against, the so-called wood burning bill that continues to allow backyard barbecues to flair up on the worst air quality days.